• Lifetime replacement warranty in case of fire and a 1-year limited warranty. • Available colors: Graphite or Taupe. When you are protecting assets reaching into the tens and hundreds of thousands of dollars, you’ll want a safe equal to the task. These safes pass a grueling physical entry attack test that includes heavy power tools, sledgehammers and picks. 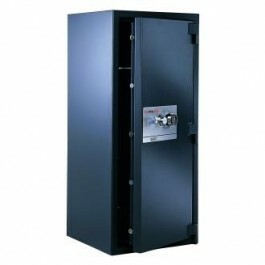 Each safe features high-quality dial combination locks with an internal relocking device.